This article is sponsored by General Hemp, the world’s leading investment group supporting growth in the industrial hemp industry. General Hemp was founded by a small group of investors and entrepreneurs with the goal of developing new markets for industrial hemp applications, including healthcare, clean energy, and more. The cannabis industry today is not unlike the California Gold Rush of the mid-1800s, a “Wild West” era that brought both the promise of innovation, growth, and prosperity, as well as a “free-for-all” mentality borne from a lack of regulation and standards. We’re approaching a crucial tipping point in this inspiring movement where we, businesses and supporters alike, have the opportunity to shape the cannabis industry into something truly monumental and ground-breaking for future generations. Unfortunately, too often we get in our own way and lose sight of the true purpose of this movement, to dissolve the stigmas surrounding cannabis and to bring patients in dire need of medicine crucial access to medical marijuana products. Rather, we see cannabis businesses getting too wrapped up in slinging mud at each other and squabbling instead of working towards the betterment of the industry for the people who desperately need safe, legal access. We can do better. We have to be better to ensure a bright and positive future for the cannabis movement. Below are five reasons why we as an industry need to focus on adopting more stringent regulation and standards in order to establish a framework that is trusted, respected, and adopted by both businesses and consumers alike. Better regulation can lead to the scalability of the industry, which will encourage innovative growth. For example, industrial hemp-derived CBD products, which undergo heavy scrutiny and regulation under numerous governmental organizations, are a cutting-edge solution to better scale the production of high-CBD medication to meet the growing demand from patients across the United States. Not only do these products make use of the versatile and fast-growing hemp plant, industrial-hemp derived CBD is classified as a hemp-based product because hemp is a legal import in the United States. This type of innovation means patients who reside in states without legal access to medical marijuana can still legally procure and use hemp-derived CBD products to treat their various conditions. Yes, the cannabis industry needs testing standards – no one should argue against that. We need to ensure the products we’re creating and distributing are safe for both patients and recreational consumers, free of harmful contaminants that can make people sick and bring a black cloud of mistrust over the entire industry. However, inaccurate or misleading tests are just as bad, if not worse, than no testing at all. Yes, accurate tests need to be taken seriously so that we can address the problems identified, but testing standards need to be held to the same rigorous regulations as the rest of the industry, and inaccurate testing can damage the trustworthiness of the entire industry. A recent, unfortunate example is an inaccurate report released last fall by Stewart Environmental, a cannabis testing lab based out of Fort Collins, Colorado. The preliminary test result for Real Scientific Hemp Oil (or RSHO) incorrectly concluded that the oil sample contained unsafe levels of heavy metals and contaminants. The testing facility has since confirmed that the initial results were both preliminary and inaccurate, and that the corrected final version of the report did not detect any heavy metals in the RSHO sample. However, by then the damage had been done – the inaccurate findings had already been posted on various social media platforms and covered in a negative report written by organizations who were later found to be selling products in direct competition with RSHO. This false report impacted more than just Medical Marijuana Inc., the makers of RSHO and other hemp-based products who were forced to halt clinical trials of RSHO amidst misguided backlash (the company has since filed a lawsuit against the testing lab and numerous businesses who created and spread the negative report based on the inaccurate findings). It also affected patients’ lives across the country, needlessly terrifying them into avoiding not just a product, but an industry that exists to help provide relief for their devastating medical symptoms. Furthermore, the report adversely affected the legalization movement, dividing a promising industry and reducing it to unprofessional gossiping, bickering, and mud slinging. Our industry needs better standards than this, both from a testing and behavioral perspective. 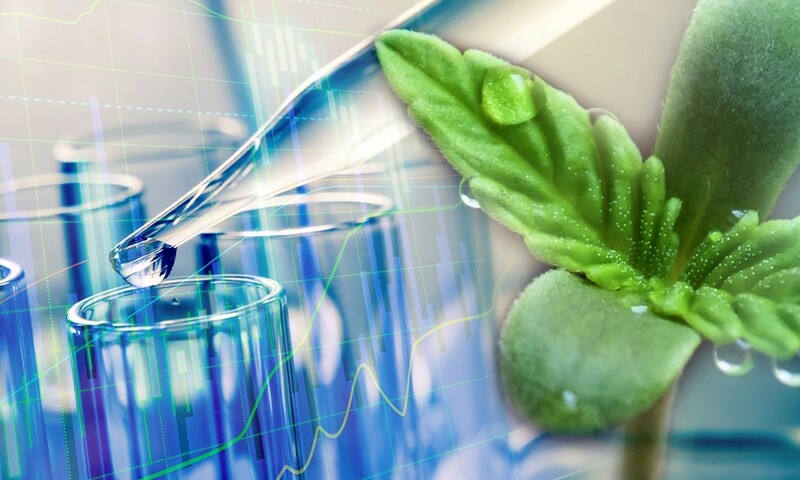 Accurate, objective testing will elevate the industry and hold companies that release contaminated products to higher standards without inadvertently harming businesses that are already operating in full compliance and creating products that are safe to consume. The quality of cannabis has become a huge problem, with shocking levels of molds and heavy metals found in marijuana throughout Colorado. Patients and consumers need to trust that the product they’re using has been accurately tested and deemed safe for consumption. Unfortunately, our industry is failing to live up to patient expectations – many cannabis testing labs are inaccurate, testing products once at best, if at all. How can you trust an industry that’s dependent on inaccurate testing labs that can be fueled by special interests and generate biased, inconsistent, or downright erroneous results? If people who are new to cannabis cannot trust either the companies manufacturing cannabis products or the labs testing the safety of these products, they won’t be receptive to learning about the medical applications and benefits cannabis and hemp-derived products can offer. The cannabis industry must be built on a foundation of the spread of education and the development of trust. Better regulation and the adoption of a stringent set of standards will reinforce those tenets and strengthen the framework from which this movement can grow and thrive. Without this foundation, the cannabis industry cannot evolve into a safe, legitimate, and respected enterprise. Better regulation means patients across the United States can safely access the medicine they need. We cannot deprive these people the means to improve their health and wellbeing, leaving them to suffer needlessly. Harper Howard in Dallas, Texas has been ingesting cannabis hemp oil orally. As a result, she has experienced a drastic decrease in the number of seizures she suffers from on a daily basis. Sadie Higuera, a little girl from Ramona, California who suffers from a rare genetic disorder called Schnizel Giedeon Syndrome that can cause as many as 300 seizures a day, has seen both her seizures nearly disappear entirely as well as her tumors reduce significantly in size after she was administered small doses of CBD oil. Beyla Pagano, from Patchogue, Long Island, New York, was born 16 weeks premature, resulting in a large number of medical problems including persistent brain hemorrhaging and severe grand mal seizures. RSHO helped make a radical improvement in her overall wellbeing, allowing her some semblance of life as a little girl instead of a weak, chronically ill patient. These patients, and thousands more in different states who are in immeasurable amounts of pain every single day of their lives, deserve safe, legal access to medicinal products that can bring them some much-needed relief. Without better regulation across our industry, from product compliance to accurate lab testing, we can’t manufacture and distribute medicine to the people in desperate need of them. And if we can’t help these patients, we’re failing not just the industry, but also the entire cannabis movement. Without compliance, patients can’t gain safe access to the products and medicine they desperately need. This industry will be unable to continue operations without ensuring it’s complying with a stringent set of legal guidelines. For example, many people don’t fully realize the process required to openly and legally import high-CBD hemp oil into the United States. Hemp oil cannot legally enter this country if it isn’t first cleared by numerous regulatory agencies. 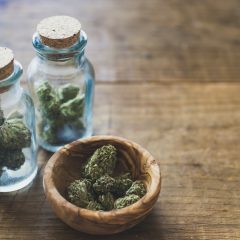 Everything from proper labeling to accurate cannabinoid levels is required to maintain a standard of consistency, which is what consumers deserve with each purchase. We need to adopt a similar regulatory framework across the entire cannabis industry. 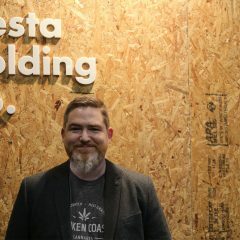 Governmental organizations will feel more comfortable allowing these products to be manufactured and distributed, states will see a safe and legal framework in action and will be more likely to open up legalization for their residents, and the general public will feel more comfortable trying cannabis products knowing they’ve undergone a rigorous inspection process at both the federal and state level. The cannabis industry is undergoing exciting, rapid growth, but we need to ensure that we’re establishing a framework built on compliance, regulation, and trust in order to survive. We must pledge to work alongside our rivals, to put aside our differences and focus our efforts on building a groundbreaking, history-making industry that will change the world for the better. Our actions can benefit society as a whole, but we’ll ruin this opportunity if we can’t work together and insist upon a well-regulated, well-respected skeleton upon which to build something truly magnificent and life saving. General Hemp is the world's leading investment group supporting growth in the industrial hemp industry. 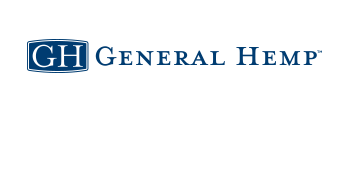 General Hemp was founded by a small group of investors and entrepreneurs with the goal of developing new markets for industrial hemp applications, including healthcare, clean energy, and more.